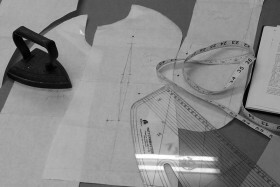 I trained as a theatre costume cutter/maker at Liverpool City College (aka Mabel Fletchers). 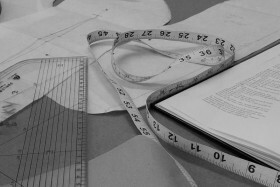 I have extensive experience of cutting and making both men’s and women’s period costume. 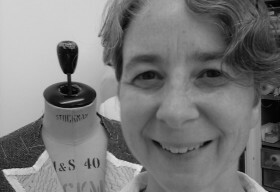 I have worked as cutter and costume supervisor on a wide variety of productions and for many companies including Opera North, RSC, West Yorkshire Playhouse and Sheffield Theatres. My continuing fascination with dress history informs my work and inspires me to investigate cut and construction of historical clothing, particularly 18th-20th century tailoring. I am based in Sheffield which is ideally placed for road and rail links making travel for meetings, fittings and location work convenient.